Before Donald Trump’s second debate with Hilary Clinton, Oz Sultan, Trump’s Advisor for Religious and Terrorism Affairs during the election period, visited Senior advisor for the Middle East in Strategic XXI , Issam Khoury. He presented Sultan with two project proposals for Center of Environmental and Social Development. The first was regarding the preparation of safe zones inside southern Syria, and the second focused on fighting terrorist organizations through media and social media outlets. The consensus of safe zones in Syria is that areas would be created for international and regional control, and forces that are willing to administer those areas would do so until the civil war in Syria concludes. Khoury believes that this step is not considered as occupation, instead it fills a space in an unsafe area until a legitimate democratic state is created in Syria. Darrah, Al Harah and Busra cities are under Israeli, Jordanian and American influence, Shiite’s militias and the Syrian’s regime is trying to control these cities These cities will not be settled down until Syrian’s regime falls. All are worried about terrorist forces reaching the Jordan-Israel border. They also share a common enemy in Hezbollah, who attempted to implement Iranian strategies in southern Syria. This was in coordination with Ali Mamlouk, who is supported by Iran. Imad Mughniyeh visited southern Syria in 2007, and began plans to build military tunnels next to the Syrian-Israel border. However, that plan was never carried out as he was assassinated in 2008. It was speculated that Assef Shawkat was behind the assassination. The assassination created a lack of confidence between Syria and Iran. This resulted in the dismissal of Shawkat from his head of military intelligence post. He was assigned Deputy Chief of Staff of the armed forces in 2009, which has crippled Military Intelligence in comparison to the Intelligence of State Security. The Syria revolution began in 2011, creating confusion within Syrian Intelligence Services. Bashar Al Assad determined that the suppression of Syrian State Security was the cause of the revolution. Therefore, he requested the help of his brother-in law Shawkat and formed the Crises Management Cell. By doing so, Iranian and Hezbollah projects for southern Syria were once again disrupted. On July 18, 2012, Shawkat and two leaders were killed during a bomb attack inside the headquarters of Syria’s national security council in the Rawda Square of Damascus “Crises Management Cell“. Interestingly, Ali Mamlouk failed to attend the meeting. Speculations were made that Mamlouk coordinated with Iranians and planned the attack, to dispose of Shawkat, who never supported Iranian influence in Syria. Under the pretext of protecting Shiite religious shrines, Hezbollah’s forces deployed to Syria in 2013. Their goal was to reach the Syrian – Israeli border. Jihad Mugniyeh, the son of Imad Mughniyeh, proclaimed his allegiance to new Hezbollah leader Hassan Nasrallah a week after the assassination of his father. He became a senior commander and planned massive attacks to take place in Israel. An Israeli helicopter killed him and five Hezbollah commanders in an air strike in 2015. The ongoing battle between Hezbollah and Israel in southern Syria never ceased. Numerous of Hezbollah leaders are still conducting independent operations in brigade 95. 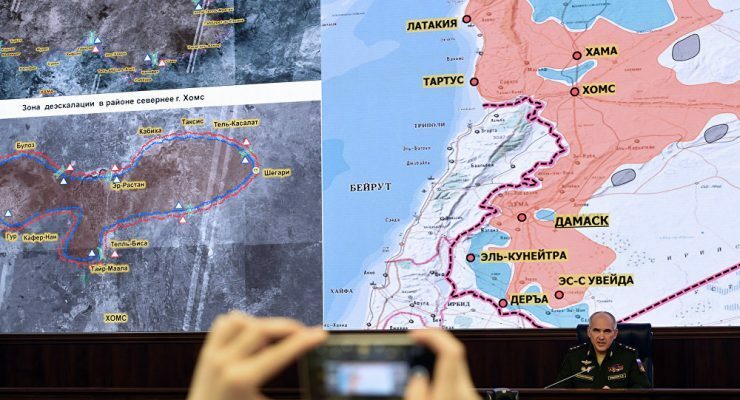 They failed to take the bordering areas of Israel, and Israel failed in forming safety in that area because the Syrian regime attacked several times, causing disturbance. 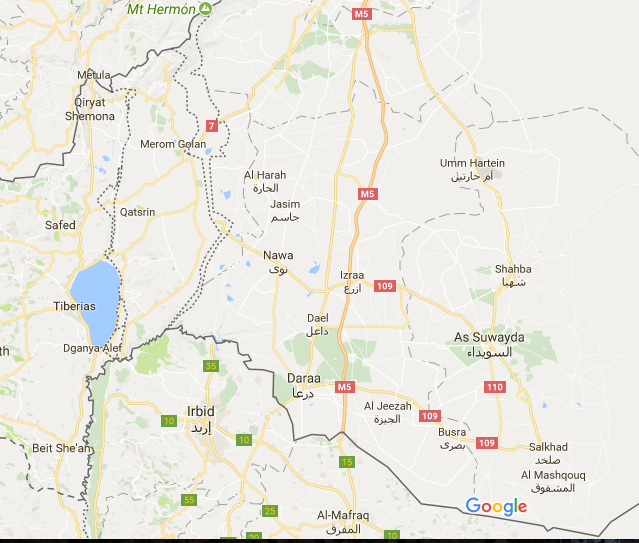 According to Khoury’s plan, the safest areas in southern Syria are the neighboring areas on the border with Israel. To fully ensure the safety, the Syrian regime should be pushed to Damascus’ border and refrain from air strikes, as well as ensuring neighborhoods are safe from these strikes. This should be accompanied with the military entry of battalions supported by the Jordanian Special Command Intelligence Center, and the Jordanian army in order to maintain security and achieve self-governing administration. There is no desire to see US control in southern Syria for either of these forces. Such control may lead to severed ties in the areas of Syrian’s Badia desert and self-administered Kurdish areas. This means preventing Iran from extending from Iraq to the Mediterranean Sea. Therefore, Russia suggested a new plan to replace safe zones with ‘Reduced Tension Areas.’ According to Khoury, the goal of this project is to keep in place the current Syrian state, provided that guardianship which remains with Russia will eliminate any realities of the US influencing such areas. 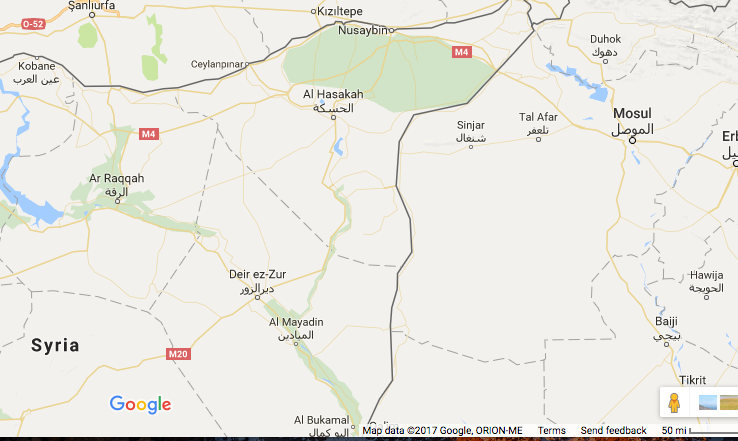 Area between Iraq and Kobane and Al Raqqa: (All these cities will be under the control of USA Army), ISIS has power in Deir Ezur, Al Mayadin and Al Bukamal, Khoury believes Shiite’s militias and the Islamic State will fight for more than two years in this region. Taking advantage of the disturbing relationship between Turkey and the US after Trump’s presidency, Russia tried to improve their relationship with Ankara, where Ankara stated the possibility of cooperation between Russia and Turkey regarding army entry into Idlib. In the case that this did occur, Russia would be considered a winner. This is due to the influence Turkey has on most armed battalions in Idleb and Hama. The only party that will fight them is al-Nusra, who are also known as Jabhat Tahrir Al Sham. 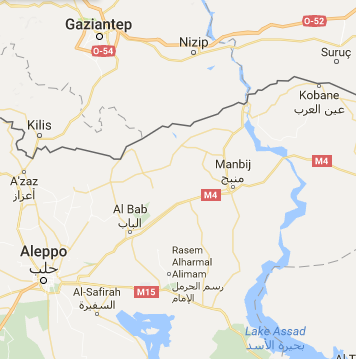 Turkey was successful in achieving the first safe zone in Syria in the area between Jarablus, al-Bab and Manbij. Homes were built in Jarablus and Civil Police were established to maintain security. Turks also wished to establish influence in the areas controlled by the PKK (Kurdistan Workers Party), but were prevented from doing so by the US. Turkey believed that forming an agreement with Russia may compensate them for their losses in east Jarablus. At the beginning of July, they gathered 7,000 heavily armed fighters to march into Kurdish villages in northern Aleppo, such as Afrin and A’zaz. These areas are under Russian control. 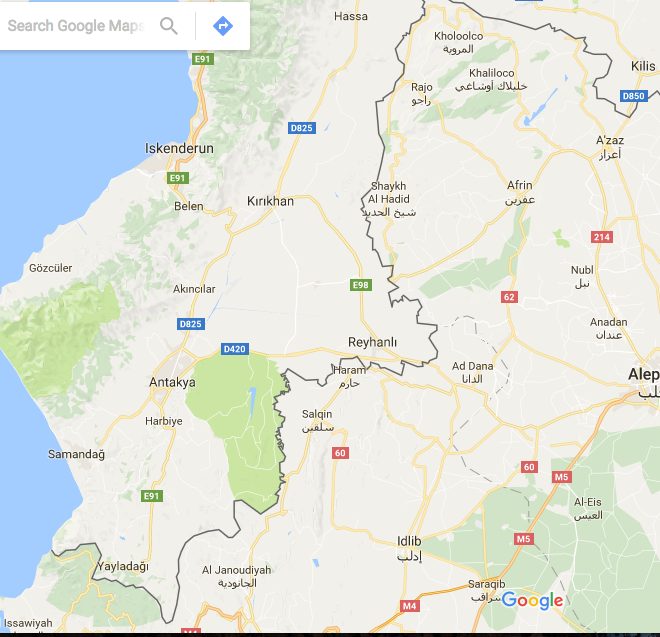 In the case that Russia agreed to transfer these areas to Turkish control, Turkey would likely be required to transfer control of Idleb and Hama to Russia and the Syrian regime, provided they are compensated well enough in northern Aleppo. This may not be a satisfactory solution for Americans, and they may improve their relationship with Ankara and undermine Russia’s goals in northwestern Syria. This is unlikely though, unless US cuts its ties with the Democratic Union Party (PYD), in favor of increasing ties with the National Kurdish Council (KNC), who are accepted by Turkey and the Kurdistan Regional Government (KRG) in Iraq. Khoury believes that Americans must cooperate with the PYD as it is an organized military power well equipped to confront the Islamic State. Then, and after eliminating ISIS fighters, they will politically support Kurdish and Arabs parties in Jazira and Suran, to achieve political balance in southern Turkey. Americans must clarify this point to Ankara’s government, who are frightened by the idea of giving in to the PKK. In Turkey, there are over 21 million Kurds, most of them being loyal to the Kurdistan Worker’s Party (PKK). Russia’s government played a key role in prolonging the power of the Syrian regime, which was for the sake of maintaining its interests, and because until now it has disciplined security organizations. But the weakness of the regime is centralized with and controlled by one family and various security leaders. Therefore, if the US wanted to create chaos for Russian military bases, they can eliminate few important leaders such as Bashar Al Assad, Maher al Assad, Jameel Hasan, Ali Mamlouk and Hafez Makhlouf. This would create complications within the Syrian army and security services. Such an assassination would be internationally and publicly condoned, as those figures are accused of committing war crimes and using chemical weapons against their people. If Trump initiated this step he would be exalted by Arab oil countries and Turks as well. Neighboring countries will also approve this step, essentially the safe zone project, which will ensure border security and safety from any potential terrorist operation. Europeans will be satisfied because safe zones after Assad’s removal will guarantee the return of many European refugees to their homes. Russia, the key player in the “Eurasian Economic Union ” that has sought to undermine the establishment of these areas of NATO in the Middle East will have lost ground in this fight, along with Iran.